Absolutely! You may refer as many people as you like, and yes, that means you can a "stash of cash!". Can I refer through any subscription plan? 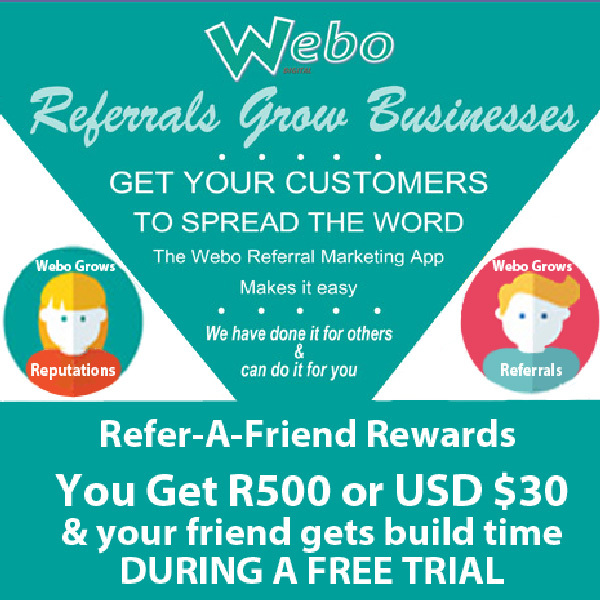 You can refer a friend through a DIY or Built for You Webo SaaS subscription. 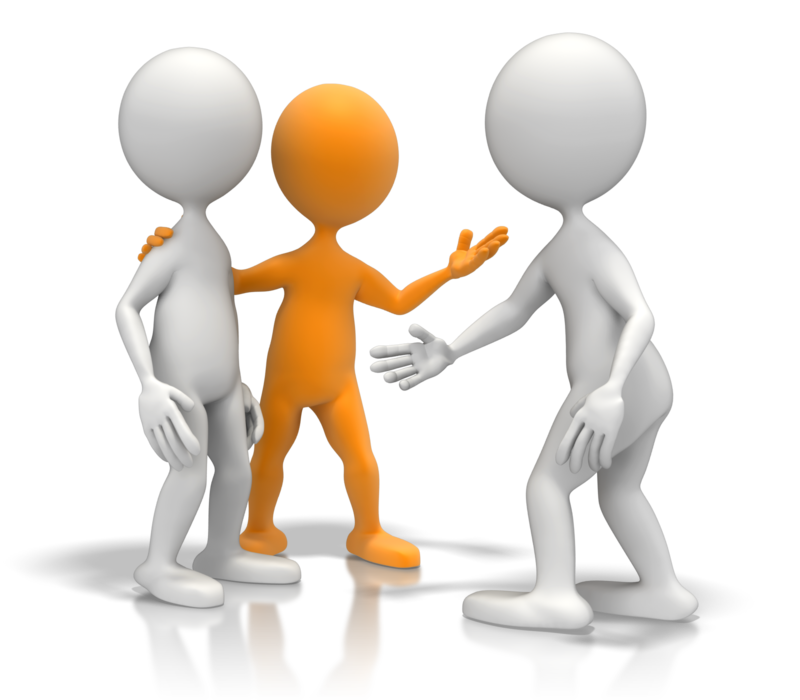 Can I Share My Referral Link on My Website or Publish on my stores notice board? You most certainly may! We encourage sharing your Referral link on your website and on any other published method at this time. How Will I Know if Anyone Signs Up? We will send you a notification each time someone signs up using your referral code. Advocates/Ambassadors may refer friends and business connections to the Webo SaaS Loyalty and Referral Communicator App by e-mailing a coupon to your Friend. 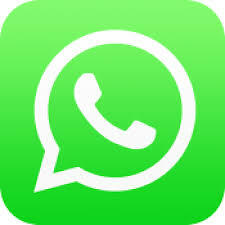 Once a Friend subscribes to a Webo Digital Digital SaaS Package for at least 3 monthly billing cycles, Ambassadors will be eligible as a South African resident to receive R500 (payable by EFT) or if an Ambassador is a resident of another country the equivalent of a USD $ 30 Referral Fee (payable by Paypal to your Paypal account) PLUS after 12 billing cycles Ambassadors will be eligible as a South African resident to receive a second payment of R500 (payable by EFT) or if an Ambassador is a resident of another country the equivalent of a USD $ 30 Referral Fee (payable by Paypal to your Paypal account). Thus, in total Ambassadors receive cash payments totalling R1 000 or $60. Advocates who have successfully referred ten friends or business connections will be upgraded to Ambassador status and they will from then on receive Ambassador rewards for new sign-ups. Once Advocates/Ambassadors become eligible for the Reward, We will make the Advocate payment within 15 days.